Hinged doors are extremely versatile, and can be used to create a variety of architectural looks and styles. Choose a grand, elegant pair of solid timber doors for a classic look, or select an eye-catching wide contemporary door for a more modern home. 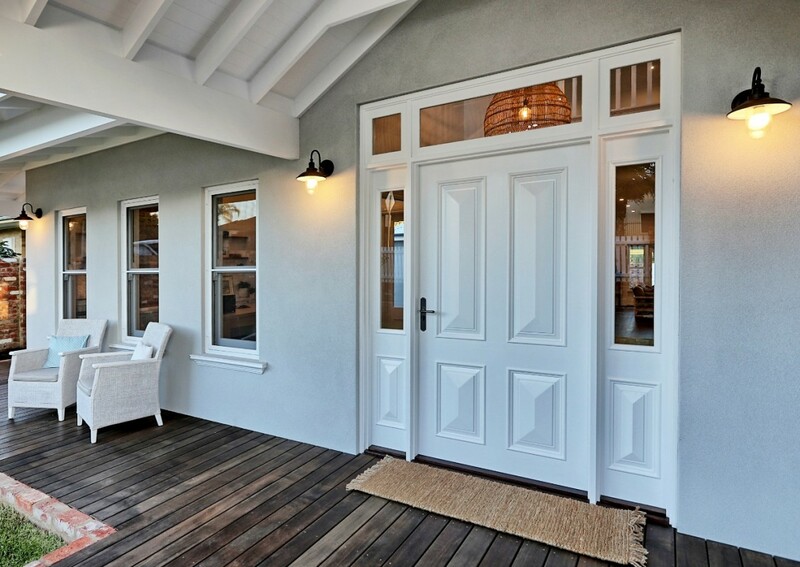 Hinged doors are also perfect for French door sets. 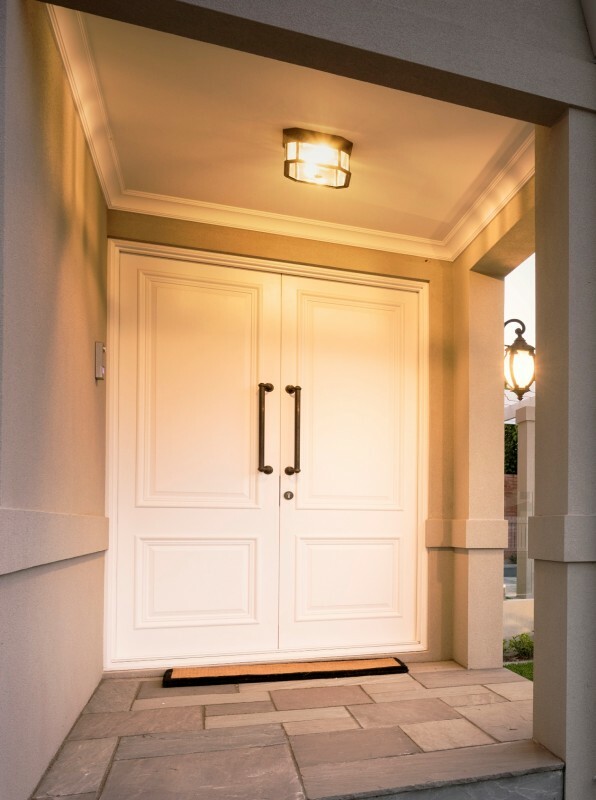 Following extensive research and testing we can now provide a fully certified, inward-opening door option. 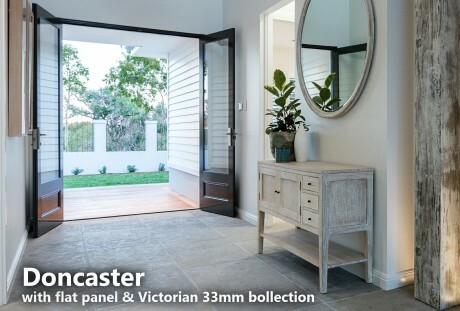 Our high performing self-draining sill complies with Australian Standard AS2047 and provides excellent weather protection. Like our other door systems our hinged system has been subjected to thorough testing to ensure your doors continue to perform for many years to come. 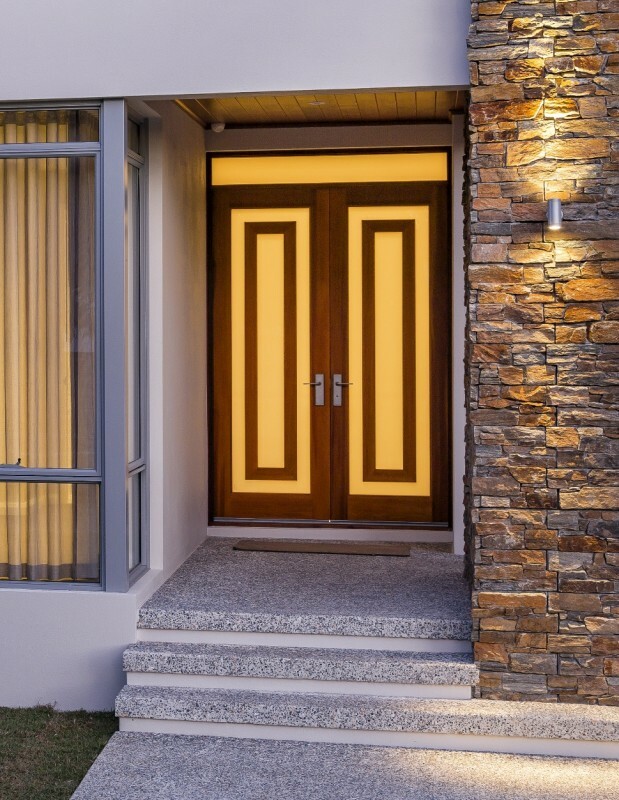 Visit our Door Designs page to view our full range of timber doors. Custom-made to suit your size requirements. Custom-designs and frame configurations available. Can incorporate all Cedar West designs. 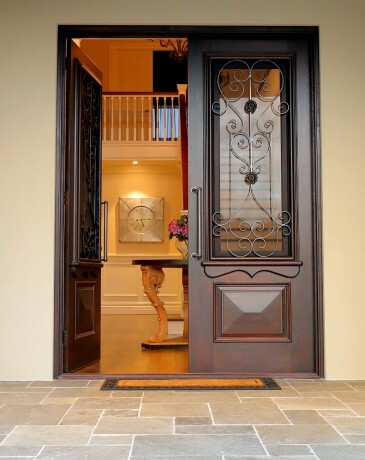 Outward-opening doors have hardwood timber threshold as standard. 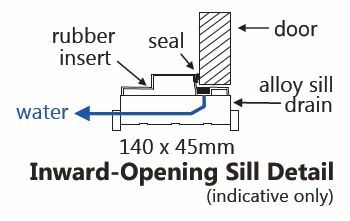 Recessed sill/flush threshold option also available. 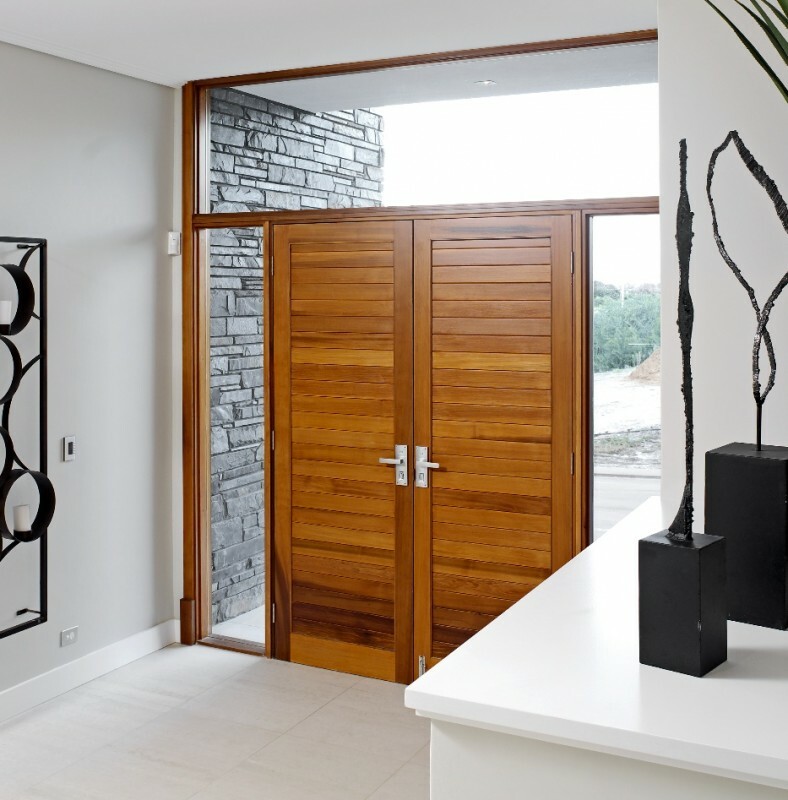 Inward-opening doors feature a unique sealing system with self-draining aluminium sill with hardwood insert. 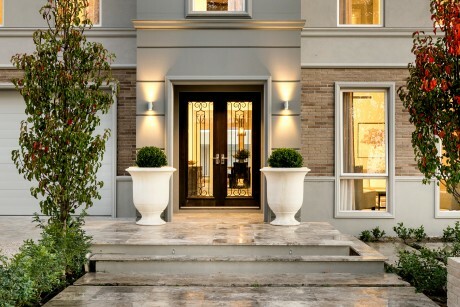 Sill colour options: Hamersley Brown, Clear Anodised or White. 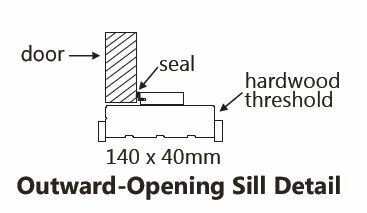 Recessed sill option also available. All hinged doors include full perimeter Aqua 21 seals to jamb and head. 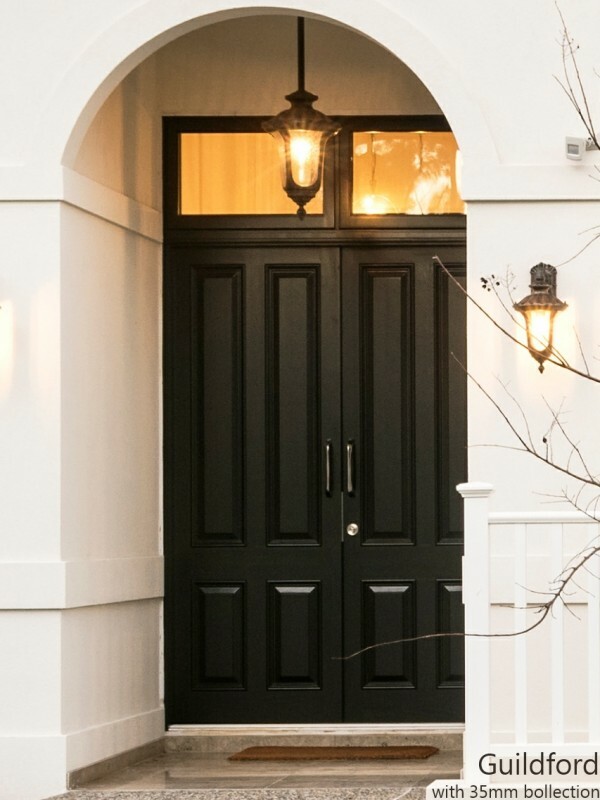 Suitable for single or double door frames. Maximum size of each door leaf: 2700mm (h) x 1200mm (w). For wider doors we recommend our pivot system. Available with optional flydoor or retractable flyscreens (specify if required). Range of quality handles and locking mechanisms available, including electric strikes and mulit-lock options. BAL-rated timber available. Can be built to meet the requirements of AS3959 (up to BAL 29 only). Available in raw timber, or with white or grey factory primer (applied to exposed surfaces).